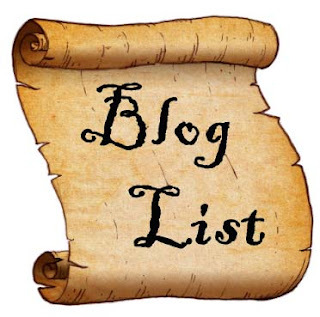 Ready for another Blog List Edition? It's been 2 1/2 months since the last one - I think we're overdue! Enjoy this latest edition of fabulous quilt blogs to follow out there - my own list of blogs I follow on Bloglovin' has grown quite large. And remember, this list is randomly put together - there's something for everyone! Wonderful suggestions for Blog reading.